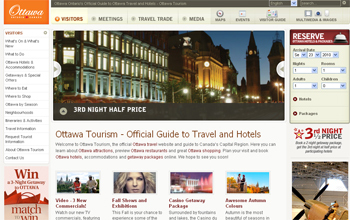 Official Ottawa Travel website guide to Canada's Capital region with Ottawa Ontario hotels, attractions, Parliament Hill, historic Byward Market, Ottawa restaurants, Rideau Centre, Ottawa shopping and more. Ottawa Attractions, Rideau Canal, Parliament Hill, Winterlude, and things to do in Ottawa Ontario – Sightseeing, Tours, Museums, Galleries, Events and Festivals, Entertainment, Sports, Recreation and Outdoor Activities. So, how do they maintain the ice surface of the world's largest skating rink?